Ar­Razi was born about 865 in Rai, Persia (near modern Tehran, Iran). As a young student, he was first interested in music and he wrote a book called On the Beauty of Music. He is reputed to have had a career as a money changer. When he was about 30 years old, he decided to study medicine after his first visit to a hospital in Baghdad. After an apprenticeship with a mentor in Rai, he became a hospital administrator in his hometown. Later he returned to Baghdad, took charge of the Muqtadiri Hospital as chief physician, and began his habit of writing detailed treatises on medical, alchemical, and philosophical topics. Among Ar­Razi’s numerous treatises are a monograph on diseases in children, which is the basis for calling him the father of pediatrics; an enormous encyclopedia of Greek, Syrian, and Arabic medical doctrines and his own conclusions called System of Medicine; and the Continens, a basic medical text that was first translated into Latin in 1279 and became a standard reference in Middle Eastern and European medical colleges. He was the first to recognize smallpox and measles as separate diseases; to go beyond use of plants as medicinals (for example, he was first to use mercury as a purgative, white lead ointment for eye infections, and animal gut for surgical thread); and to describe cataract extraction and the reaction of the pupil of the eye to light. Despite his excellence in clinical medicine, Ar­Razi became controversial because of his alchemical and philosophical ideas. Notable were his views that all men are equal, miracles are impossible, religion is unnecessary, and science is subject to change as experimental evidence accumulates. Unlike other Arabic physicians of his time, he questioned reliance on Greek and Roman authorities, in particular the views of Aristotle and GALEN that had become dogma. 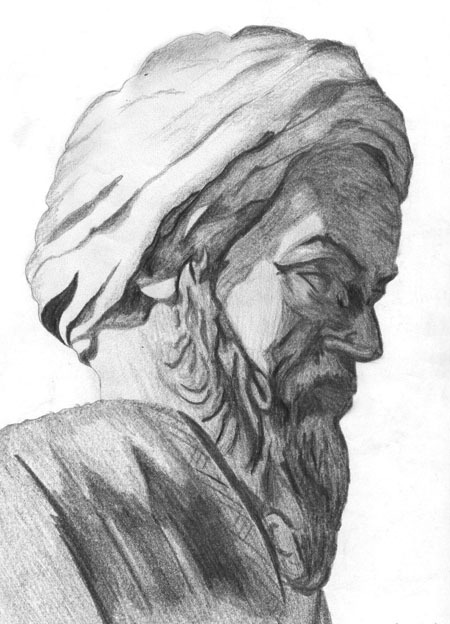 Ar­Razi performed original investigations on specific gravity, and he supported the atomic ideas of ancient Greek philosopher Democritus (c. 500 B.C.E.) that the universe is composed of minute basic particles. He introduced into modern thinking the idea of classifying matter as animal, vegetable, or mineral, and he further recognized that the last category has both volatile and non­volatile components. Ar­Razi died around 935 in Rai after blindness slowed his extraordinary literary production. Ar­Razi’s legacy rests in the portion of his works that were preserved and translated after his death, especially those on medical and scientific topics. For centuries his medical texts were required reading for student physicians, and his philosophical writings have been reviewed by scholars from the Middle Ages to modern times. Ar­Razi’s insistence on empirical evidence as the basis of scientific inquiry predates by 800 years the similar views of FRANCIS BACON, seventeenth­century thinker whose work influenced the development of scientific methodology. Ar­Razi is credited with transforming Islamic alchemy into the science of chemistry. He described many chemical techniques and processes dearly, and he developed atomic explanations for differences among the basic elements recognized during his time (earth, air, fire, and water). Willing to experiment and to use inorganic materials in medical treatments, he was more scienc e­oriented than a later, more celebrated philosopher and physician, IBN SINA (Avicenna). Ar­Razi still ranks among the most influential physicians and thinkers of the Islamic world. *Scholars cannot date the specific events of Ar­Razi’s life with accuracy.